Pinterest is something you could lose days to, it really is. They'd be enjoyable days though! Abakhan Fabrics has recently joined Pinterest and has launched a competition on there. The competition launches today - happy pinning! 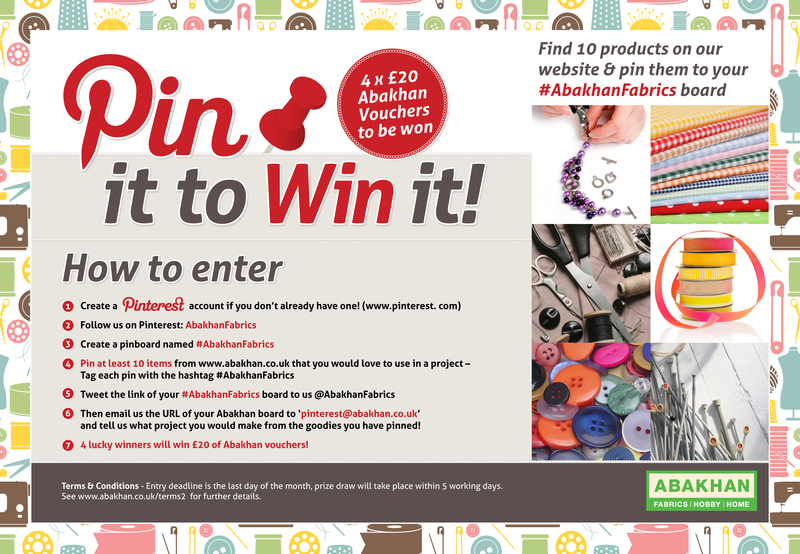 Four lucky winners will win £20 of Abakhan vouchers! Good luck! !